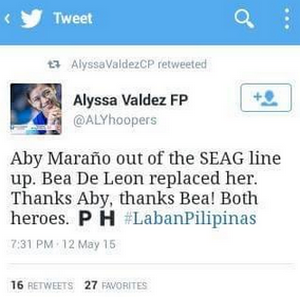 Bea de Leon Replaces Aby Marano in the SEA Games 2015 Women's Volleyball Line-up: True or False? 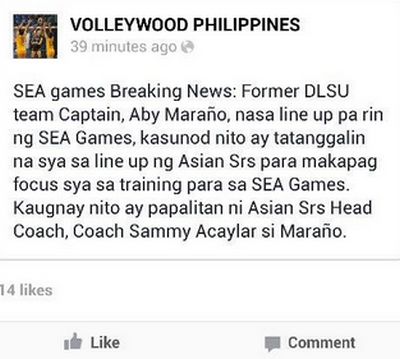 Tweet Scoop: Few hours ago, a news broke out saying that Bea de Leon of the Ateneo Lady Eagles will replace Aby Marano in the Philippine Team SEA Games 2015 Roster/Line-up. But apparently, it is not true according to multiple sources. Aby will stay as a member of the squad.